The Parlour, a restaurant and bar reserved for Sketch members, club nights and private events at night, is decked out in pinks, oranges, vibrant prints and an eclectic range of different fabrics and crushed velvet. The Parlour at Sketch is a stylish venue offering a range of menus within chic surroundings. Choose from breakfast and brunch or bar snacks and cocktails. The Parlour at Sketch also features a patisserie counter and offers a selection of speciality teas, coffees and signature cocktails. Sofas are a mix of Victorian, Louis XV and French day beds. Meanwhile, the East Bar, with its white leather walls is the ideal spot from which to sip a superbly dry (if extortionately priced) Martini chosen from a drinks menu designed in the style of a tabloid newspaper. From the drinks menus to the handwritten napkins the devil is very much in the detail here at Sketch. The lighting is similarly spectacular – in the bathrooms, front and backlit crystals and glass shapes produce a stunning shimmer, while gentle washes of colour bathe the cylindrical pods and sweeping staircases dotted elsewhere. Prices are sky high but you’ll spend so much time gaping open-mouthed at the décor that your sipping speed will slow down considerably. Sketch - The Parlour and East Bar clubs, bars, cabaret nights, casinos and interesting nightlife. 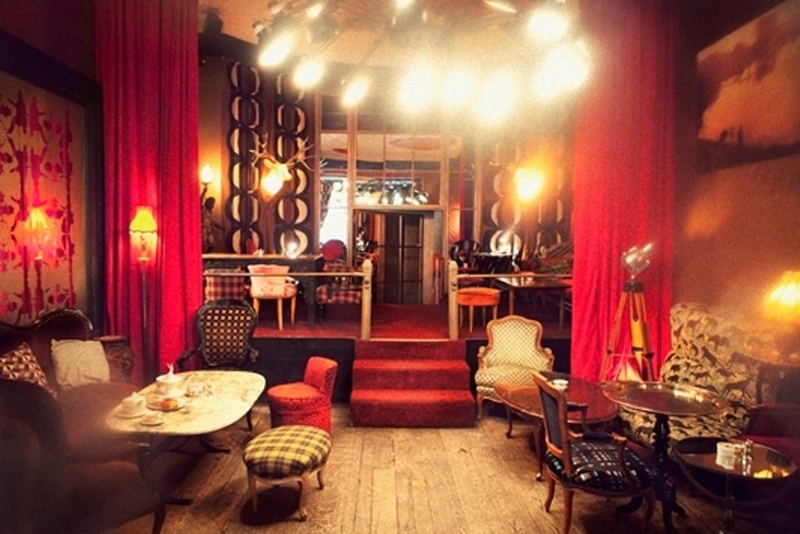 What are the best dining options near Sketch - The Parlour and East Bar London? Sketch - The Parlour and East Bar gyms, sporting activities, health & beauty and fitness. The best pubs near London Sketch - The Parlour and East Bar. Where to have your meeting, conference, exhibition, private dining or training course near Sketch - The Parlour and East Bar. From cheap budget places to stay to luxury 5 star hotels see our special offers for Sketch - The Parlour and East Bar hotels, including No 5 Maddox Street London from 75% off.